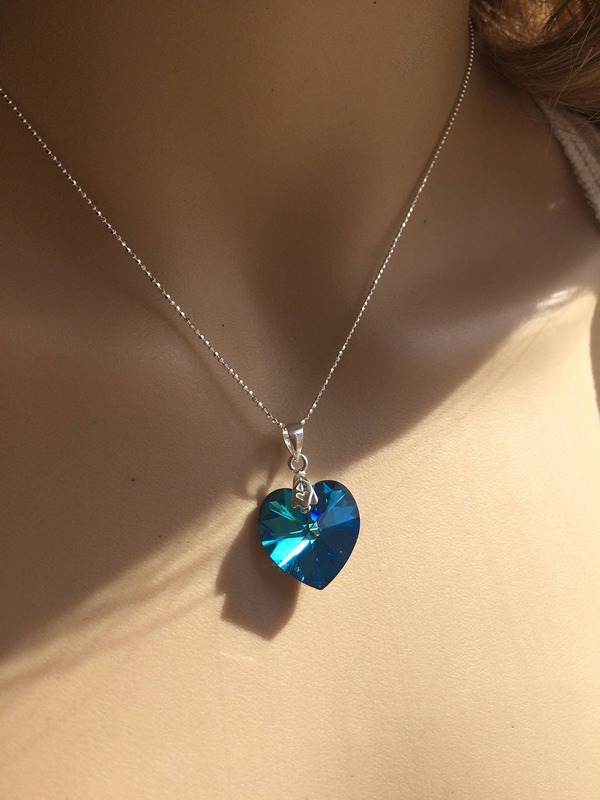 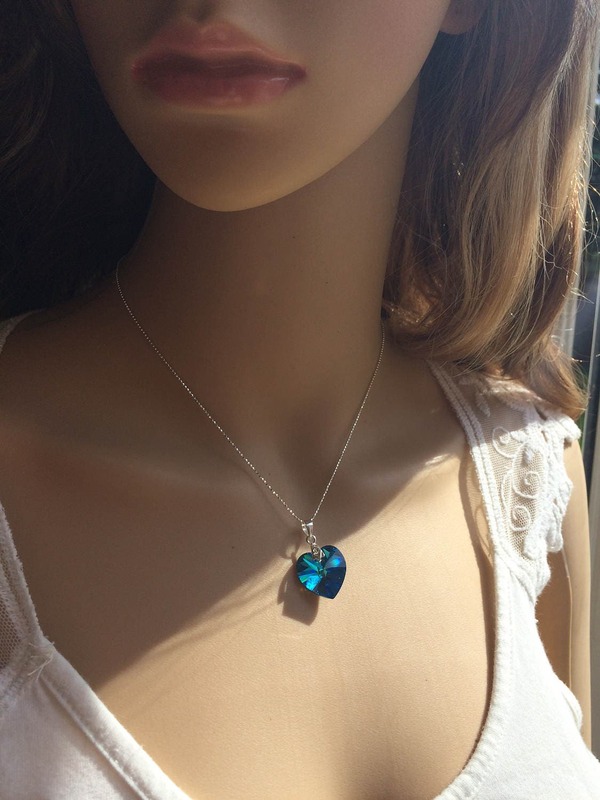 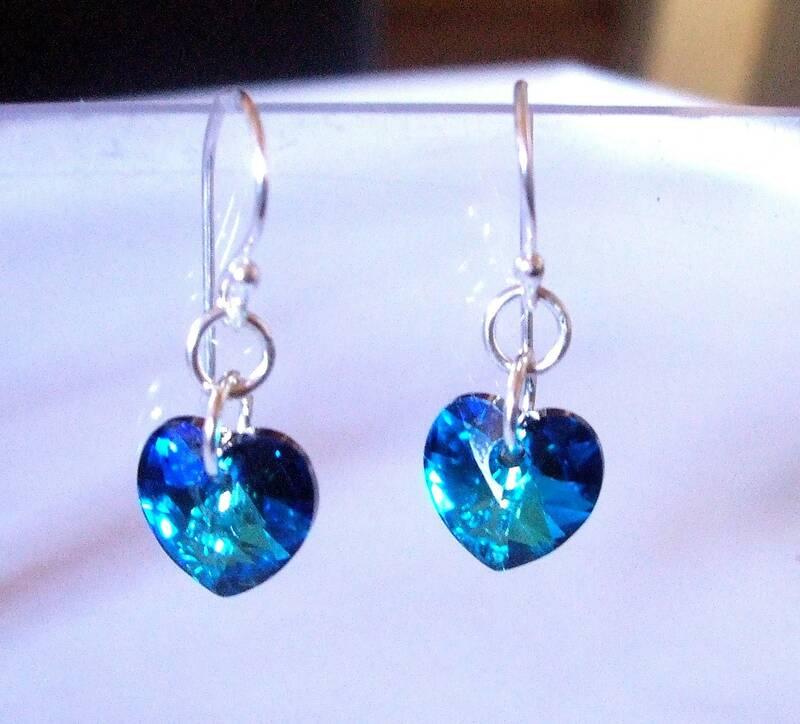 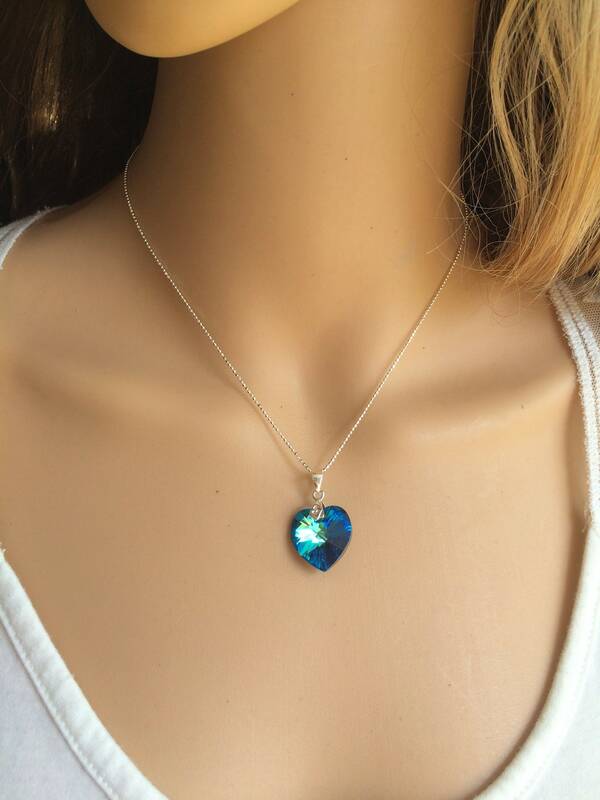 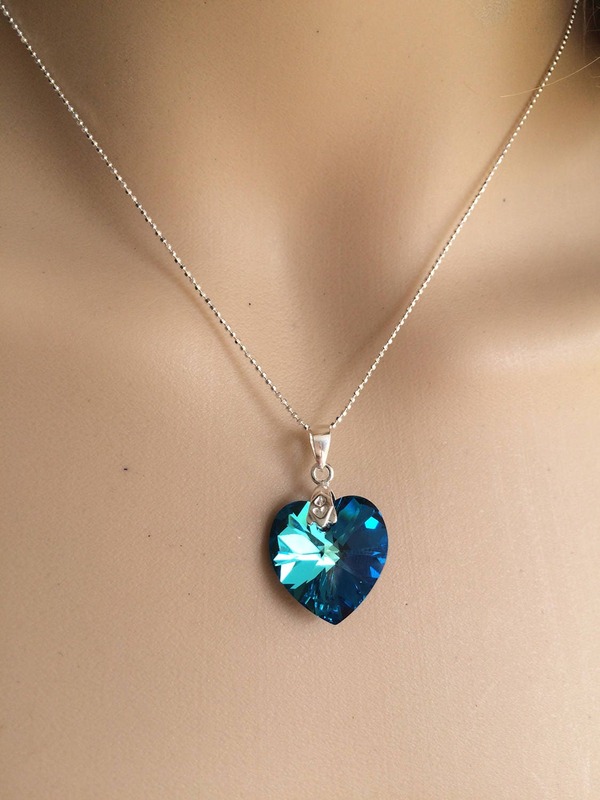 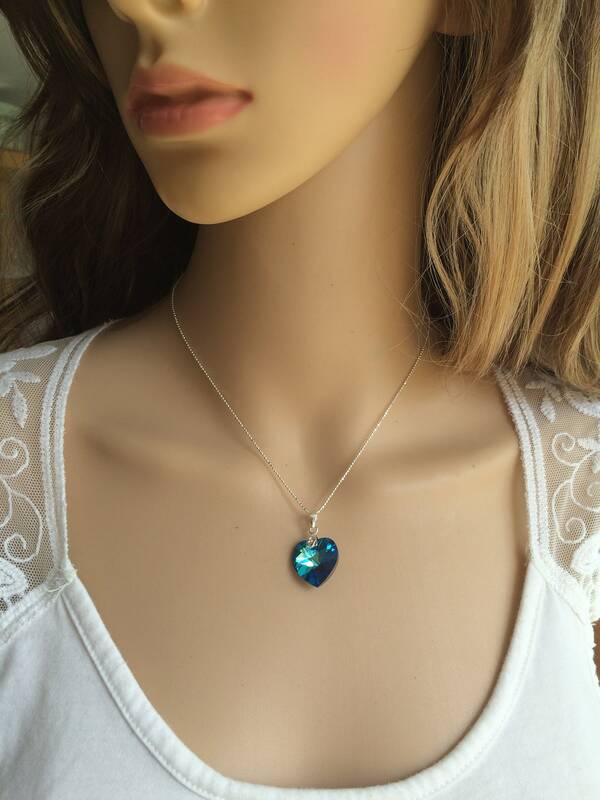 Gorgeous handmade peacock Blue Swarovski crystal heart pendant on a pretty Sterling Silver bail Sterling Silver snakechain necklace finished with a Sterling Silver clasp. 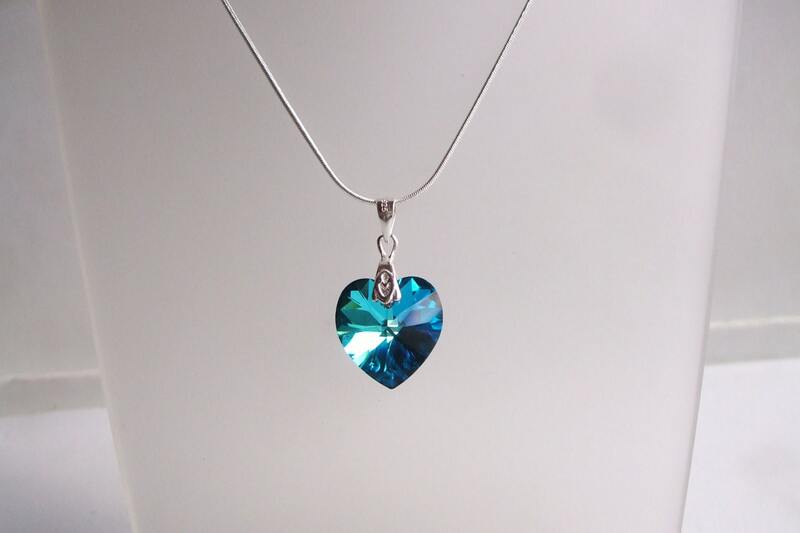 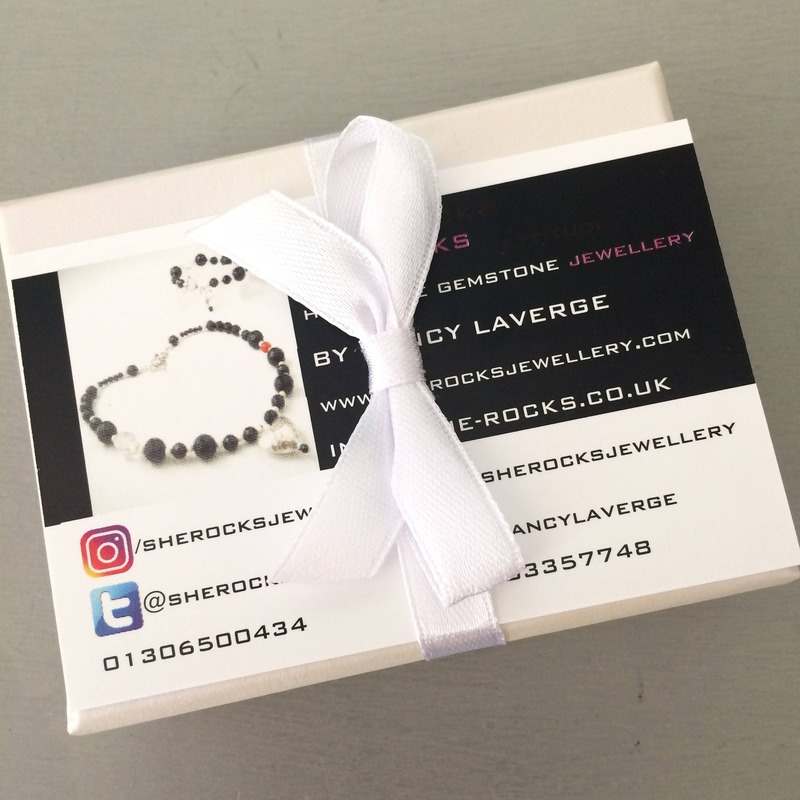 Fine shimmering Sterling Silver link chain in the length of your choice above, for other lengths please inquire. 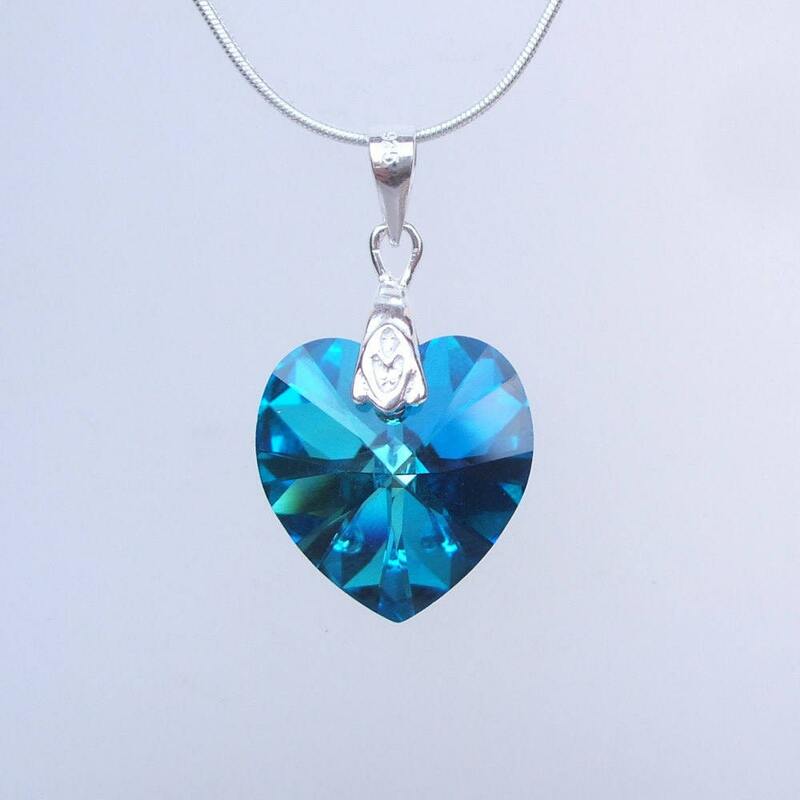 Thank you for visiting my shop and hope to see you again soon.